Let there be light…and there was light! Today as I watched the Riviera Beach FPL power plant implosion, I wondered when electricity first came to Palm Beach County. Electricity was a marvel in the late 1800s, and really centered around one thing – lights! The ability to light streets and provide light in homes and businesses was not only convenient, but much safer than lanterns, candles and gas light, all sources of combustion and fire in the mostly wooden structures of the time. 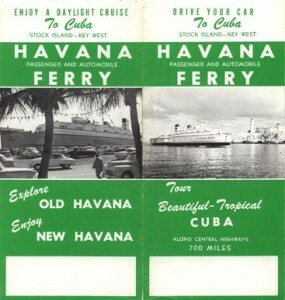 My search began in old issues of The Tropical Sun, the area’s first newspaper. 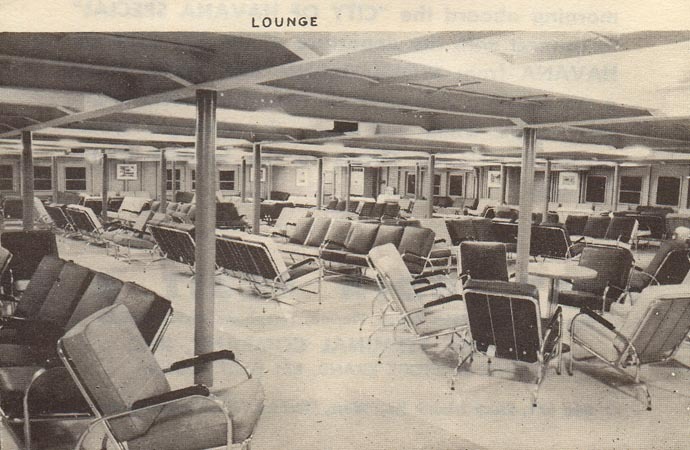 The earliest articles first mentioned electricity as part of the Royal Poinciana Hotel in Palm Beach. The hotel was opened in 1893, and it was planned from the beginning to have electricity. They had their own power plant on the island to provide for the hotel’s needs. The first idea for electricity in the city was to simply run electric wires across Lake Worth from the power plant at the Royal Poinciana over to West Palm Beach. That did not happen, so in 1902 the City of West Palm Beach took out an ad in The Tropical Sun for a new electric power plant. 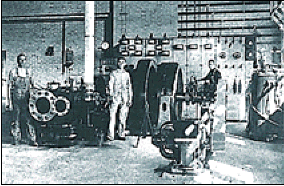 The West Palm Beach Light and Power Company was formed, with A.R. Beaujohn in charge. I was not able to find a paper online with the exact date that the power plant was activated, but I do know that the franchise for the plant was won by none other than Joe Jefferson, one of the most famous actors of the 19th century. He was best known for portraying “Rip Van Winkle” on the stage. Mr. Jefferson was a fixture in Palm Beach, and did much to develop downtown West Palm Beach. He owned six houses in West Palm Beach, along with the Jefferson Hotel, and several stores. Reportedly he uttered the words “Let there be light” when the switch was flipped on the plant and electric began to flow in West Palm Beach. 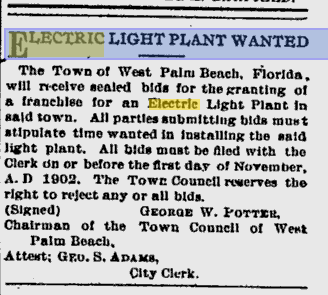 approached, American Power & Light began to purchase many of these independent plants and consolidate them under the Florida Power & Light name, which began in 1925. The first large scale plants were at Fort Lauderdale and Sanford. Consolidation continued, but a few cities remained as independent power producers; in Palm Beach County only Lake Worth has its own municipal power plant. 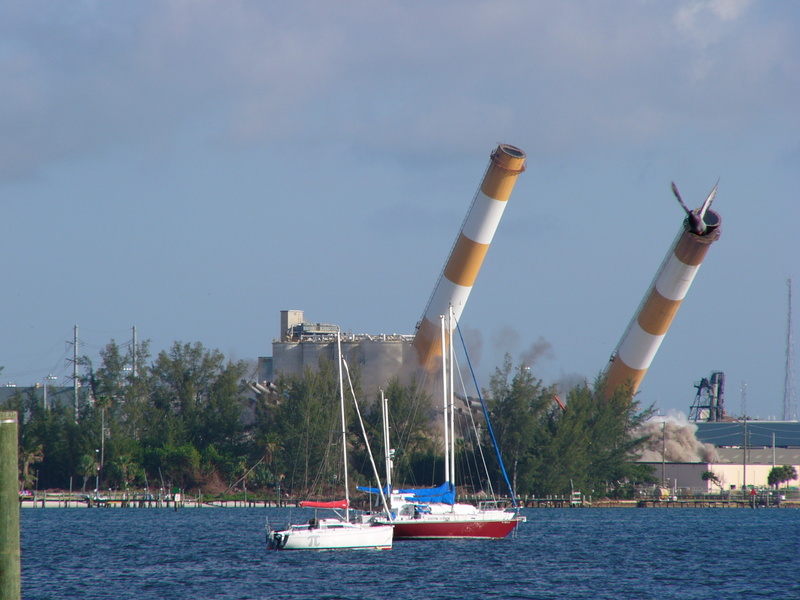 In some ways, I was sad to see those old smokestacks go down today. They were such a part of the landscape and a real landmark. I remember driving from Lake Worth back to Jupiter along Flagler Drive and US 1 as a child, and the power plant was always the point where Flagler ended and you had to get on US 1. I know many considered the smokestacks an “eyesore,” but it is another element of our landscape forever lost to history. 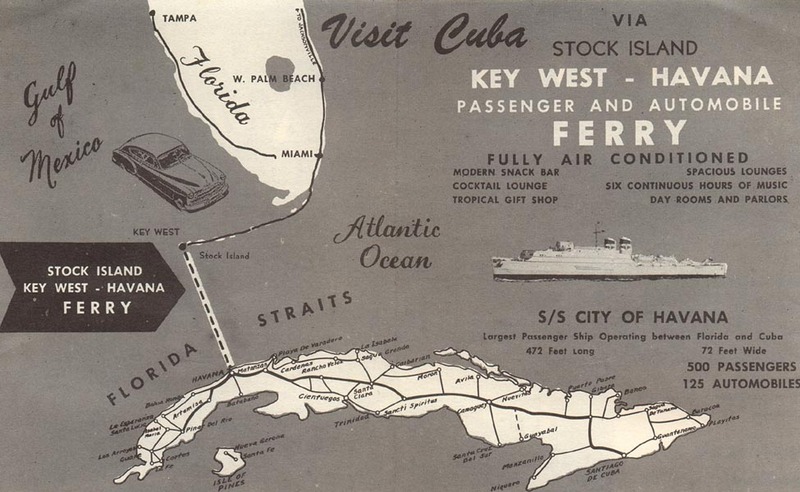 This article was researched through The Tropical Sun and Palm Beach Post historic archives, and Pioneers in Paradise by Jan Tuckwood and Eliot Kleinberg.